Sep 03, 2014 in "Cinderella's Holiday Wish"
The Halloween season has just got underway at the Magic Kingdom, and already crews are looking ahead to the next holiday. The first sections of the Dreamlights are now being installed at Cinderella Castle. The crane is not yet onsite, but typically appears around mid-September to complete the work. 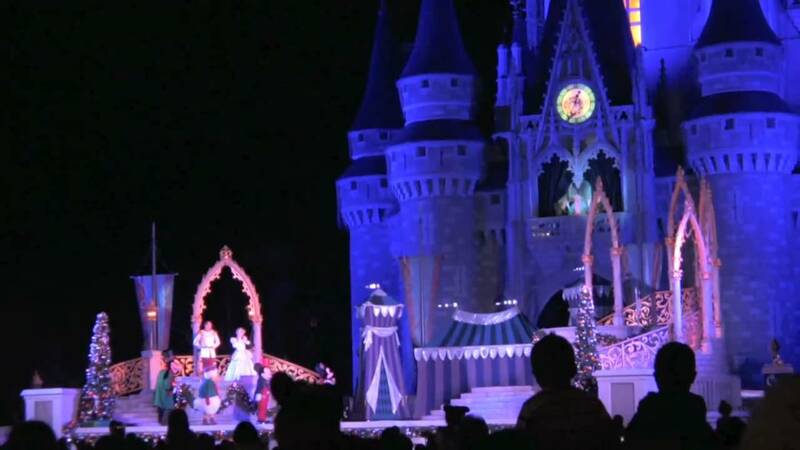 The lights are displayed as part of Cinderella's Holiday Wish.